Gerald Wayland Griffin, 84, of Senatobia, MS passed away on Tuesday, November 20, 2018 at Baptist Memorial Hospital-DeSoto in Southaven, MS. He was born on November 6, 1934 in Texas to The Late Daisey Mae and Andrew Jackson Griffin. Gerald was a self-taught engineer and was an exceptionally hard worker with a work ethic beyond compare. He delighted in doing well at whatever he was doing and treated everyone with respect. Gerald enjoyed his work, which allowed him to travel throughout the United States and to many countries. A man of his word, he was also very kind and generous and would “give the shirt off of his back” to anyone in need. Gerald loved country music, especially playing the guitar and singing, riding motorcycles, playing poker and cooking steaks, but more than anything else he loved being with his family. He was a master at making his family feel loved and safe. Gerald leaves behind his loving family, which includes one daughter, Jody Jarjoura (Peter) of Austin, TX; two sons, Wayne Griffin (Lisa) of Hernando, MS and Clay Griffin (Tanya) of Clarksville, TN; six grandchildren, Zachary Jarjoura, Lydia Jarjoura, Marlena Jarjoura, Austin Griffin, Chase Griffin and Grant Griffin; two great-grandchildren, Avery Griffin and Jack Griffin; and two step-grandchildren, Seth May and Shelton Matthews. He was preceded in death by one grandson, Jordan Jarjoura and his parents. A memorial service will be held in the chapel of Ray-Nowell Funeral Home at 1 p.m., on Sunday, November 25, 2018. The family will begin receiving friends at 12:30 p.m. at the funeral home. In lieu of flowers, the family has requested that a memorial contribution be made to The Jordon Antoine Jarjoura Endowed Scholarship; c/o Foundation Scholarships, NWCC, 4975 Highway 51 N, Senatobia, MS 38668. 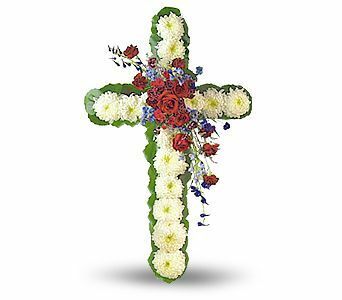 Ray-Nowell Funeral Home – Senatobia Chapel has charge of arrangements.